A new Timesheet Report is now available for time approvers to see which timesheets are in and those still missing for the timekeeping period. Sorting the report by approval status or approver can be accomplished. This is a very nice productivity tool to help project managers be more efficient in managing timesheets. This report was added in GP 2016 R2. Line Item Distributions for all transaction entry windows in Project Accounting have been added. This is really a nice feature because we can now manage the GL distributions (posting accounts) where those accounts may be entered or edited for each and every line item on anyproject accounting transaction. As a result, the not very helpful PA Trail Balance report will print the new line item distributions which were changed during transaction entry. In other words, this report will be much more useful now. This feature was also added in GP 2016 R2. In GP 2016, the new Document Attachment feature (added in GP 2013), was extended to the Project Expenses window. Users entering project expenses can now attach receipts into their expense data entry window. Nice feature…but the real benefit happens in Payables where theses attachments are visible by the payables users. Also added in GP 2016, Project Accounting fields have been added to the Purchase Requisition Entry window that shows the project number and cost category for each line item on a purchase requisition. Of course, these fields are not required on the requisition, but if they are used, this project related information is also included on the purchase order that is created from the requisition. Two new reports were added to Project Accounting in GP 2016 in the form of Edit Lists. An edit list for both Project Time & Expense - Timesheet entry and Project Time & Expense – Expense Entry are now available. Finally, GP 2016 brought two new fields to the Project Time & Expense entry window where Unit Cost and Unit of Measure may now be used to view and edit expense transaction data. In summary, Project Accounting does not get a lot of ongoing development attention, however the features added in GP 2016 and 2016R2 really enhance the features of the module. 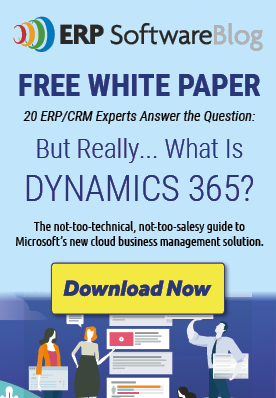 How Can Dynamics GP Help Your Business? How Can Microsoft GP Balance Your Business Goals and Risk Management?